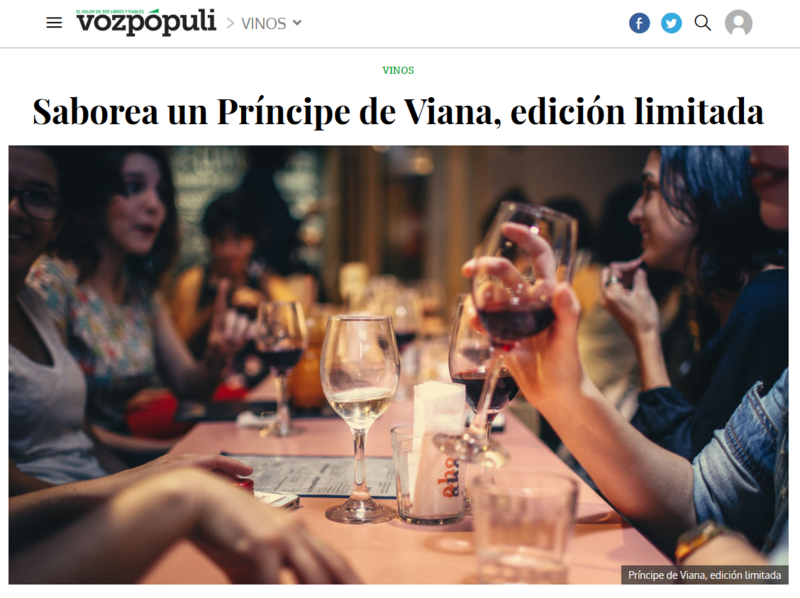 One of Navarra’s main newspapers announces the launch of the new vintage of Príncipe de Viana special rosé. 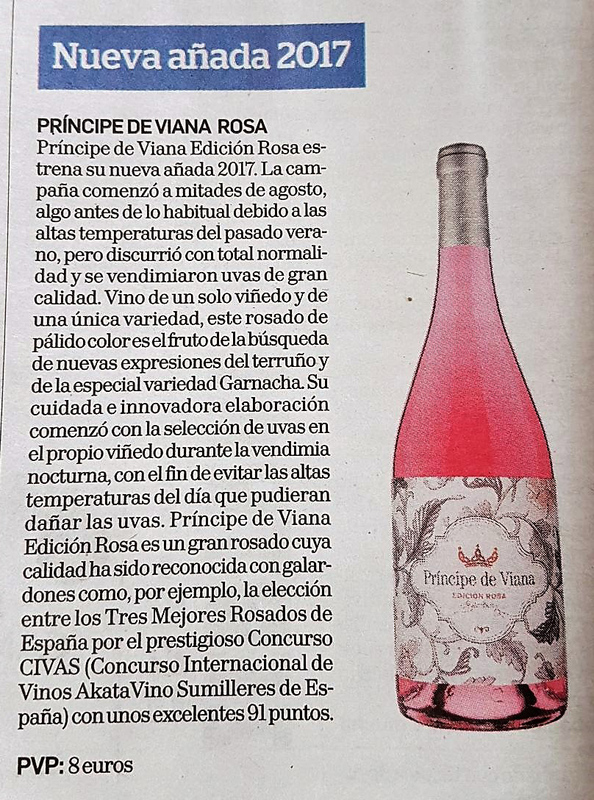 The Basque Country’s newspaper recommends the new vintage of Príncipe de Viana special rosé. 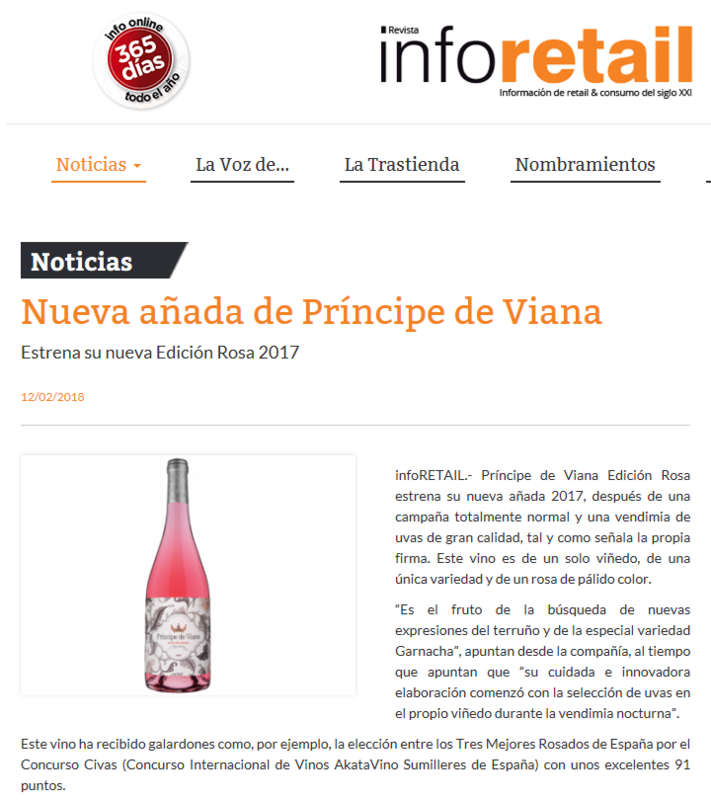 Online wine magazine announces the launch of the new vintage of Príncipe de Viana special rosé. Popular online newspaper recommends Príncipe de Viana and details what makes it so special. 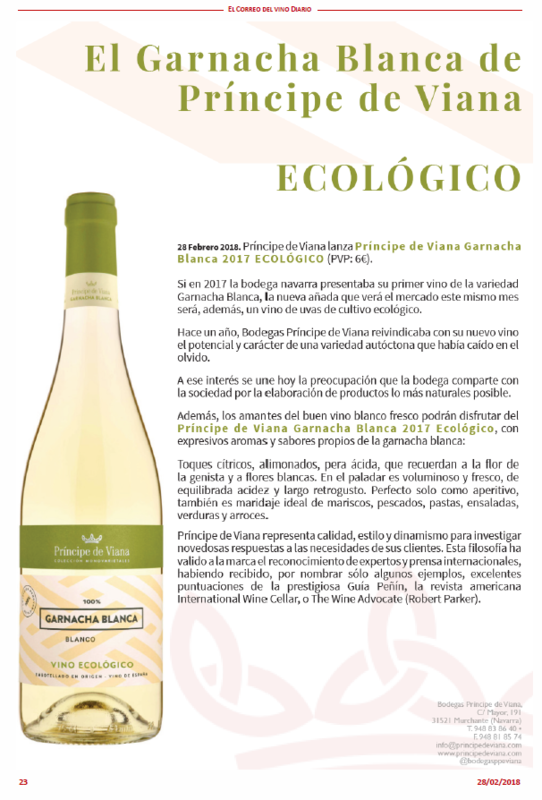 Gastronomic portal breaks the news of the launch of Príncipe de Viana’s organic Garnacha Blanca wine. 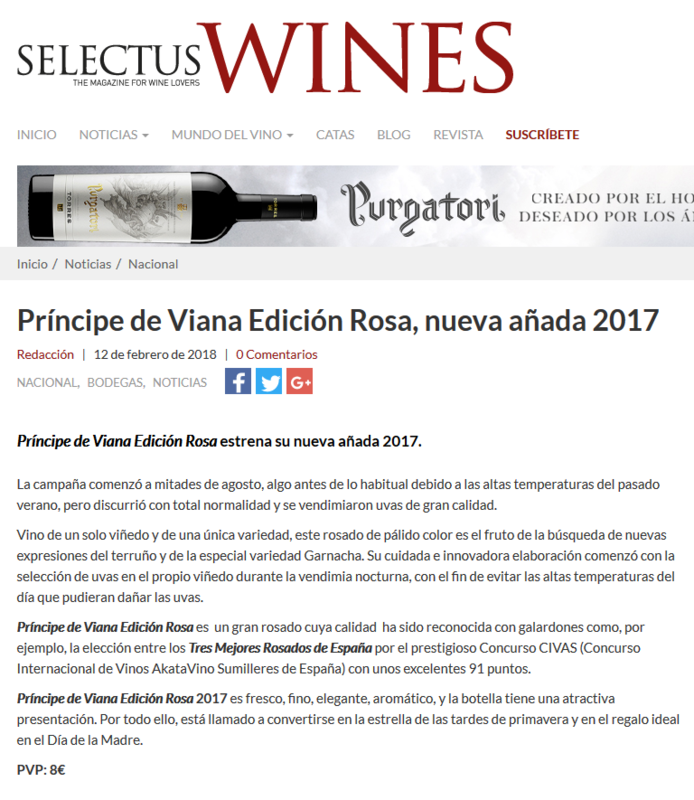 Online specialized magazine announces the lauch of the new vintage of Príncipe de Viana’s Special Rosé. 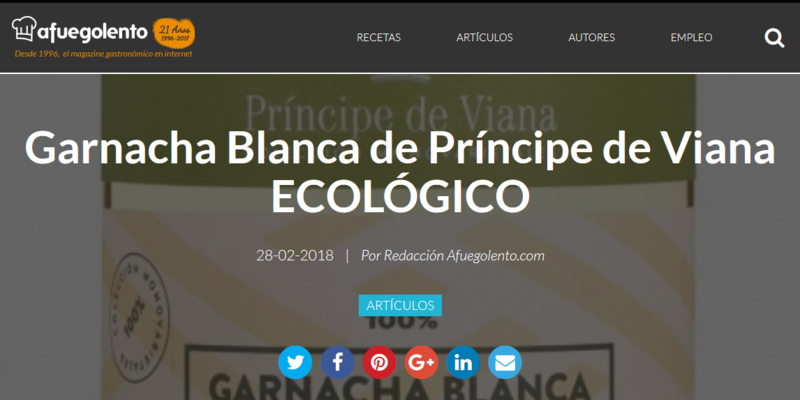 Wine news portal prints the news about Príncipe de Viana’s launch of its ORGANIC Garnacha Blanca wine.